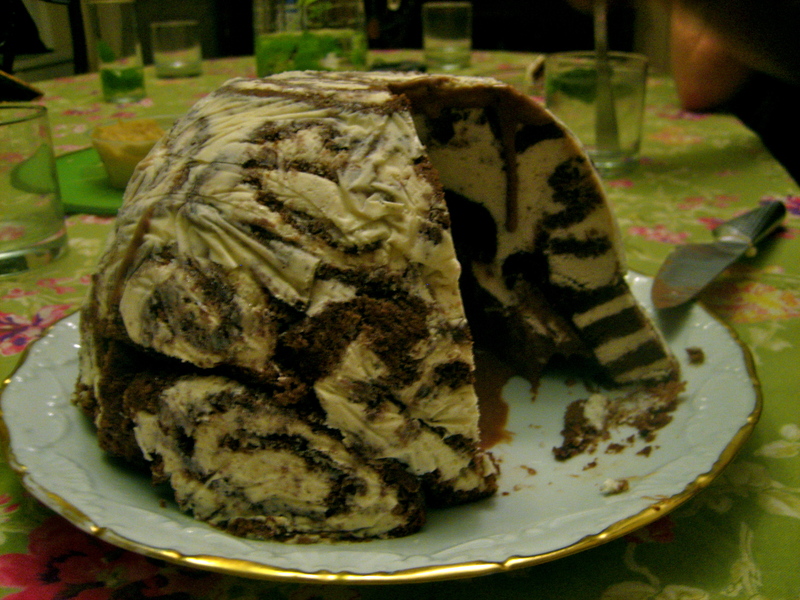 July Daring Bakers’ Challenge: Swiss Swirl Ice Cream Cake | Baking and Caking! 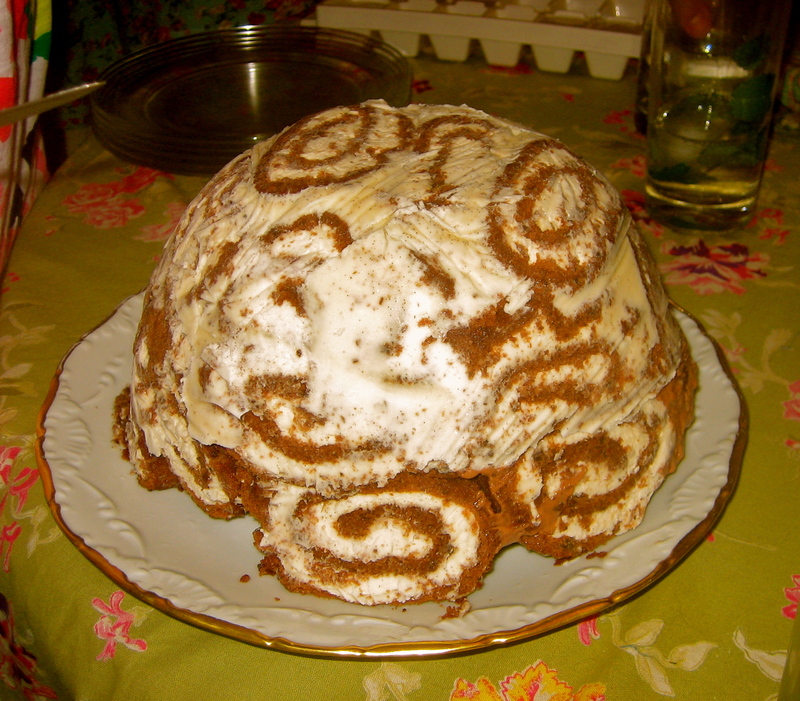 This entry was posted in Cake, Chocolate, Daring Baker, NYC and tagged Fudge, Ice Cream, Swiss Roll, Vanilla by Maya. Bookmark the permalink. I’m expecting you to make one next week. It looks so good. I recognize that tablecloth! 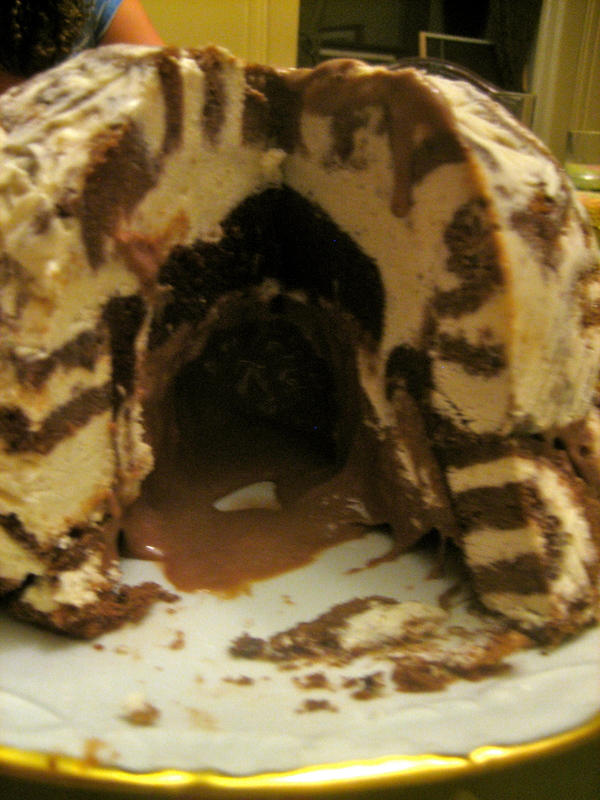 Doug and I made a midnight raid on the Swiss Swirl Ice Cream Cake. Awesome.